Original plastic housing failed so we opted for a steel housing from Amazon. It was missing any sort label to indicate it was a first aid box. While we have lots of organization left to do overall we are very happy with the results. 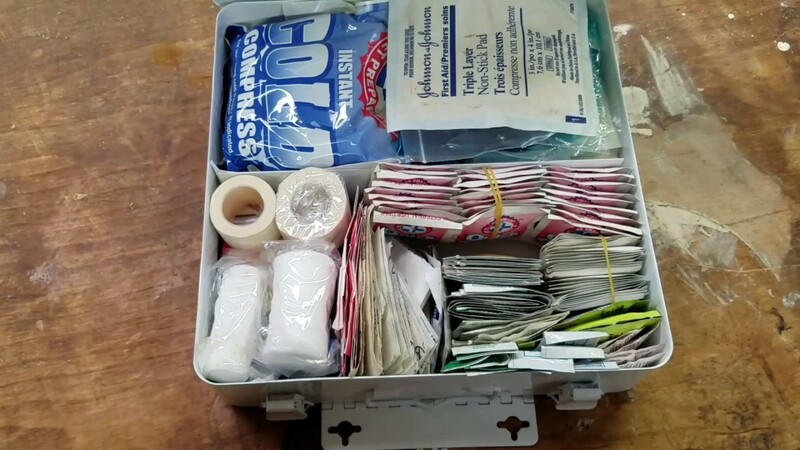 At present, I keep my first-aid stuff in a small tool box, marked with the label I took from the original plastic box. I don't like it though and think that it needs to be expanded and better organized. It's one thing to go in there to fetch a bandaid and some antiseptic cream with everything working except a slight cut on a finger. But with a more serious wound I think I want good organization and quick access. A wall unit like yours would be just the thing, although I did like your older cabinet with the organizational drawers.